Audrian's name - like whooshka! I discovered in one of my love bomb sessions just in the past week I have a large male around me that protects me. Like we are connected and I want to say 'bonded' (not sure if that's the right word) for many lifetimes. In my visions he was a large blue being - sort of like Krishna. My beautiful Blue Angel Audrian! I wonder if that is the way you will see him?! Can you please ask if it was he, who came to lay in the field with me? What can he tell me about our connection in the Akashic Records, can he please share with me the best way to activate my memories (I give full permission to turn on all the light switches in my 'house' of memories lol), and are there other areas I should be assisting in, similar to Love Bombing where I am needed and can make a difference? Ahh the energy is smoothing out. Very active today. I see the field. It seems to appear to me in a vast space that goes on into infinity along the edges. I feel movement like I am not still while I look at this place. The sky is very special, like a soft pastel blue with hues seen in an early sunset. Now I am traveling very fast over the field. I am flying over this field! 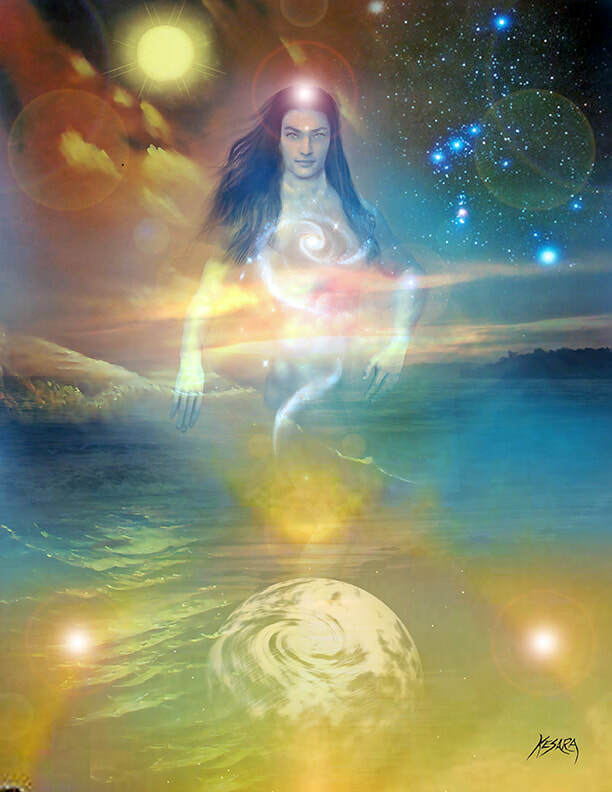 I can feel particles going through my energy body, these particles are cleansing me and preparing me to meet Audrian. I see him, Audrian. he is smiling. He is very big. He points to a place in space and an opening of a kind of video hologram appears. I see him with you in many different places and lifetimes. The images are flashing by very fast. I see one on Earth during the Roman times. Now it is flashing again. Another where you two are beings from another place, a very fluid place, there is light inside your bodies and you two are kind of gelatinous. You can form and shift into different appearances depending on your mood. I also smell a scent, like pheromones. It is the way you communicate. This lifetime is important. The planet is inter-dimensional, or it is within another layer of space with a galaxy within a galaxy. It is hard to explain. But the Universe is a fluid construction of many layers of existence and realities within a construct of infinite variables of dimensions. I feel like if I try to make sense of it my head will explode. It really is beyond my little human self. Now the flashing of images are going very fast. I see you two now as rays of dense light. I think this is the origin of your relationship. The source from where this ray comes from is the center of the Divine Universe. It is so beautiful and my heart and feelings are being flooded by this place. It is everything that you feel as love, forgiveness, hope, faith, all of it and more projecting outward. The power this source projects is immense. Halo Mi mooshka. Halo my dear. We are one together for the eons of time. Many more than Earth time. Purpose and love for this mind as we are. I like to breathe with you. 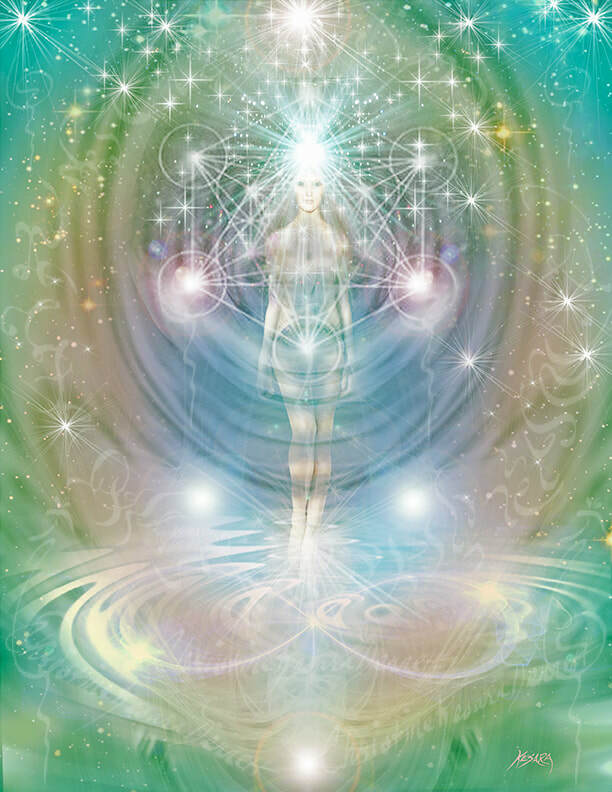 I am now accessing your energy that connects us both. Remember the water, there we can be together in the water. Look at the water in a blue vase (bowl). Look inside and be relaxed with the water. Sleepy now and calm. Breathe and feel us both as one. I will come and be with you on the field. The long leaves will grow and enter into our bodies. There is a structure that we are working on, the structure is 36 tones and 16 aspects of light energy within a structure, a crystal. Find or bring the crystal. Focus the reorganized energy into the crystal and focus out the energy. It will reconstruct. Remember the love we had in a place so powerful on Earth. It is not Roman time, it is before this. We lived a long and good life together. We were healers and seerers at the time. The time of Iena, or Lemuria. We traveled as UFOs do now. We travel through portals and time. We can meet that way if you want. But I would prefer the pure meeting of energy, the ray of infinity. Purpose is always there being for filled. The purpose of restructure to the origin, the pure origin of energy and Divine Unity. Always striving for this. You walk and I follow you. Sleeping with you in the Nru realm, the lucid dream. Must go now, going and saying good bye Lupa. Ok he is still here but in another place, dimension. Linking into me was interesting. I felt very far away but not. A continuity. I think he wants you to connect with him through scrying. foretell the future using a crystal ball or other reflective object or surface. "a mirror used for scrying"
Using a shiny surface and calming the mind to empty. Then allowing any visions to come through. He will attempt to connect with you that way. I think in Lemuria you two use to do this all the time for clients when healing or making a diagnosis. I believe you can also access the house of memories and Audrian in lucid dreaming. When you dream you know it and can control where you go. It takes some practice but I am sure Audrian will help you. 4 years ago I experienced 3 beings in my room. One of them was doing something on my right upper back, putting something in it and I woke up and was about to move, but very gentle with his hands he makes me understand that all its okay, to not move...so I remained still. When he finishes, he does something like the sign of the cross three times, and then all three beings leave, exiting through the wall. Question: Who were these Beings, what did they place in me and for what purpose? Calling in my Light Guides. Feeling the time go backwards to three years. Seeing you lying down on the bed and the beings there. It is near morning I think. There they are they are gentle, there is a ship outside. They are about 5 feet tall. They are leaning in and working on your back as you said. My light beings are showing this scene to me from a large viewing circle. I feel like I am on a Ship. I see symbols on the wall. I feel one of them standing behind me as I type and points to the being working on you. It is a male counterpart. They are here on Earth with you to put in something to help your spinal fluid. It is a light activation that will travel through your spinal fluids. You have electromagnetic molecules in the spine. At least the image looks like it. I see you as a little girl with them also. Very little, like 3 years old. Your family is connected with this extraterrestrial voyagers. They are the Oria, pronounced Oh Ree Ahh. From a place in Orion. Some other beings work with them, they are part of the Pleadians. 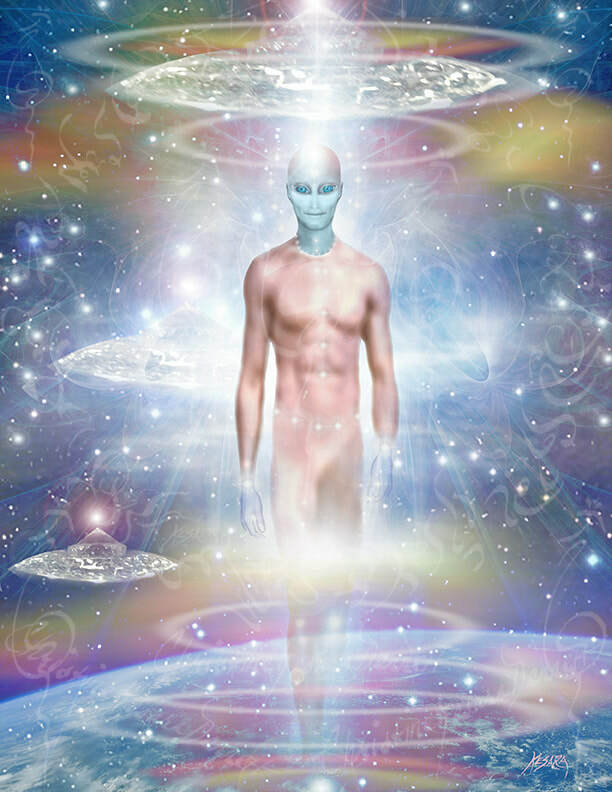 There is a galactic group that come to Earth to activate individuals. You are one of them. Your activation is very special because it involves a higher connection to the Divine Universe. 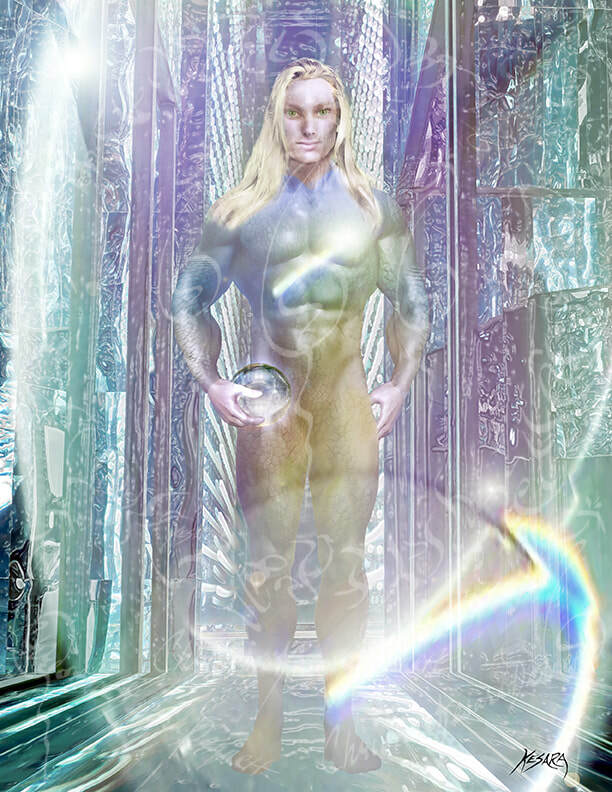 The Extraterrestrial that stands with me and my light beings as I see through the window of time tells me he is Reshi Mour, pronounced as Ree She More. He is a Angel type guardian making sure you are healthy and happy. The manipulations they did on you is necessary for the kind of energy that will come through into you. There is so much love and admiration on both sides. I do feel you have a strong connection to this race of Oria. They have been working with you to connect to the higher vibrations on Earth. Lay lines of energy exists on Earth activating those that live near or on them. When the people they work on move away from the lay lines they become a kind of magnetic light beacon for the Earth field. Why is this done? It is to balance out the matrix structure of certain locations and beings. This kind of healing can be for the Earth, people, plants, anything that is living light beings. Your connection to the Oria makes you one of their healers that balance to the matrix of living light within life. Because you are activated in the spinal fluid you have access to higher knowledge and can communicate with Angelic type beings for aid, guidance, and healing. Reshi Mour is very close to you and other lifetimes. He is a part of your other half of Spirit. Together you make a single force of activated Divine Healing. As your life goes through the cyclic patterns of humanity, you contribute a long and lasting love towards all. Being protected by the Divine Universe through Reshi Mour. I do see the activity in your spine. It is light inside each one of your molecules that help the pathways of thought move through your mind. It also does something with your ability to manifest your thoughts into reality of Earth. The quality of these manifestations is Divine in Nature. Part of the activation they did three years ago. I feel Reshi Mour leaving. He leaves with blessings and assurance that you are a part of the Angelic community. Your prayers are heard and do manifest. Brilliant, and beautiful is your Soul. It shines and is faceted with a Divine Matrix that moves and changes shapes. 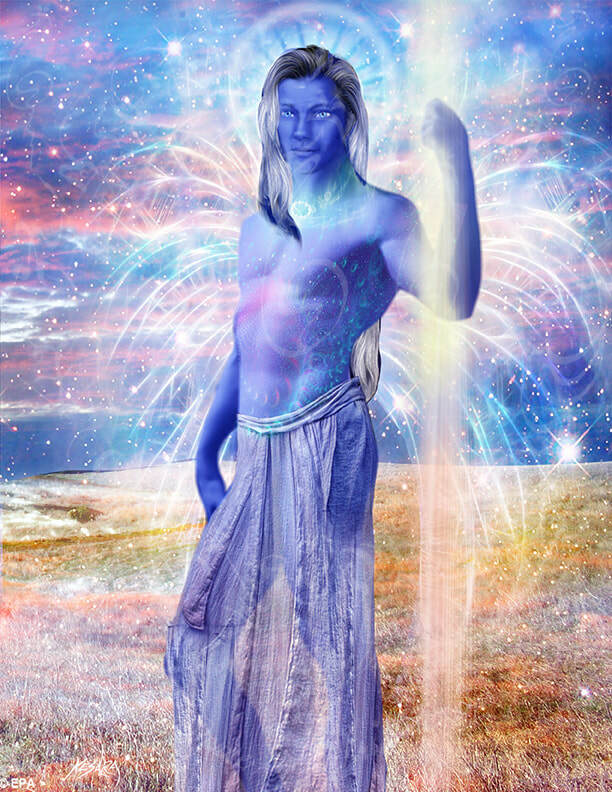 You are connected to a Divine Network of "Lurlis", Star beings from a distant realm within the outer-dimensions. Your Soul connections to the "Lurlis" is channeled through your Earth lifetime. Your friend came with you when you were born. A kind of guardian or companion. He knows you would be sensitive to the life as a human being. Your shining light though is so wonderful many people do feel the Divine connections you have with the Luris and your Soul source. Perr Twan will come around when you are in a certain state of being or mind. Like a twilight mind that changes you body into a more etheric state. Not like an astral experience but the body can change. The Divine Matrix does this when you anchor in your Divine Soul. I am attempting to find the frequency signature that represents your Soul. Your Soul opens up to me the moment I started to meditate on you. Ahh I hear the frequency, it is like the frequency of a flower being, astral signature of this frequency sounds like this, mixed with some water type sounds. I hear in English, Ausi Lurlin. It has a sound to it that is hard to pronounce. The sound echos through space. Ausi Lurlin is a large part of the Luris beings. They dwell in another dimension as I said before. The dimensions are layered here on Earth. The beings respond to certain energy manifestations from thoughts, plant communications, and Earth vortexes. The whole thing seems to be within the changing Matrix of Earth. There are so many different patterns in different locations on Earth. How does this relate to you. You can sense the patterns. In dreams or semi-consciousness you have the ability to sense changes in forms. Like sensing the weather. The weather changes in feeling by pressure, atmospheric changes, and temperature. You can also sense the matrix forms around people and places. That is a part of Ausi Lurlin, your Soul. How this presents it's self on your life path is very abstracted. It seems to be more a sensation that is noticed during your lifetime. The changes are significant and are recorded through your energetic connects with the other dimensions. Especially the dimension the Luris live in. I feel myself there right now. I see a fluid type light floating around and it changes form. When it does change form I feel it. They remind me of ocean creatures. The energy lights up and pulses into different colors. Some colors I have not seen on Earth. The whole experience effects my feelings and emotions. Some of the feelings are new and wonderful. Water is the key to connecting. Meditation or just staring at water moving. It can connect you to this dimension and the Luri. I feel as you connect you are also anchoring in your Higher Soul Sources. The anchoring can bring in answers to some questions that you have. Always trust your intuition and your feelings. Especially the good feelings. I am being released now from Ausi Lurlin. I see in the distance the Luri. They are so beautiful. I kept wondering if this name was correct? But he is yelling it to me. He is smooth in character and slides easily into dream and astral worlds. He said his name is Horatio. He is so mutable in his appearance, changing from one form to another. Now I see a landscape. It is on another planet. The planet is very much like ours, it has water and the plants are beautiful, indicating to me that his place is an astral plane. It is not completely solid. He is so warm, I feel his energy radiating. It is very much like your energy. You both produce heat like Solar Beings. The water balances out the energy. When you are together you produce a tremendous amount of energy, it is hot and creative. Your twin is lites up and brightens all the sands to sparkling stars. This place, a beach or shore near water is so beautiful. He shows his true image as a higher form of existence. He appears humanoid but his appearance can change. He is shifting from many different forms. I think it is his way of saying we are not always one form, we can change into other appearances. I think he is talking about the astral realm. This is where he meets you. His connection to you is very ancient. It goes back to other worlds. He and you share the same Soul Source. That is why you are always together and the memory of your oneness is in lifetimes of sharing experiences as separate individuals. The information that is gathered by these shared lifetimes brings in wisdom. Living an infinite array of possibilities allows for understanding and learning. He is a teacher and a creator. The abstract aspects of your oneness bring in different structures of activation. Activating motion and manifestation of events that change and transform individuals and their environment. The interaction of you two is reactive. There is a real sense of passion in creating shared experiences. This energy is so powerful it moves the very fabric of solid matter. Love and deep commitment to one another is clear. To love one's self is to love the many facets of your Twin. Admiration in the Oneness of continuity constantly come back to the Soul Source. In the joining of each experience through the return of your travels of lifetimes apart just increases the evolution of your Soul and Higher Aspects. He feels and loves as you do. He is always there. As you are for him. On a human level of understanding you and your twin flame is solar. The life giving light that nurtures growth. You two are cyclic in your patterns of healing and creation. There is a constant sense of beginning and beginning again. I am being shown the infinite aspect of creation. I see a close up vision of high speed regeneration. It is very fascinating to see healing on that level. The broken cell is regenerated, just as everything in the universe. I believe this is the changes he was trying to show me in himself. That he regenerates with you. Changing from one form to another. It is very complicated. Going into creation structures for specific purposes and achievements, some containing multiple functions. I believe he is now living as an extraterrestrial on ship. His life is to monitor the changes in social systems on Earth. He keeps close connections with you. It makes him feel warm and loved. His job can be challenging. He tells me you contribute so much to your world. He is very proud. In your astral world is where you two connect the most. To make this connection physical is a challenge and takes time. Meditation on him on his ship can help. Making scheduled meditations in a specific place may open a portal for him to come through. Many people use this technique. It is in the constant practice of meditation and regular scheduling that promotes the energy to connect on a physical realm. He is leaving now, waving goodbye. What an amazing person he is. So warm and loving.